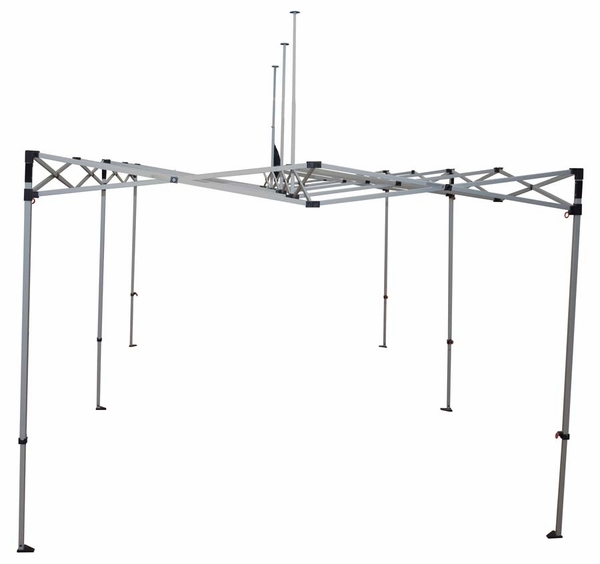 Combining anodized industrial grade aluminum with a patented frame design, the Caravan Aluma Canopy creates true high tech protection. 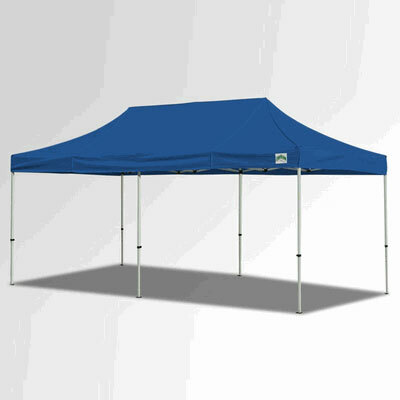 This 99-pound, 10 feet by 20 feet canopy features 7-foot clearance. It's built with durability in mind: for sun and sand worshipers, the Aluma offers unparalleled resistance to salt air and water corrosion. 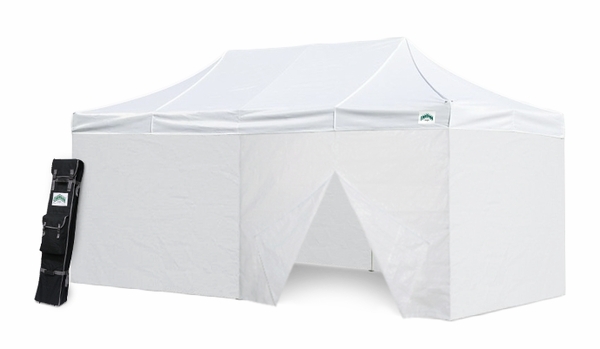 The Caravan Aluma is available in red, white, blue, and green, with a variety of custom colors also available for this gorgeous, high-quality canopy from Caravan. 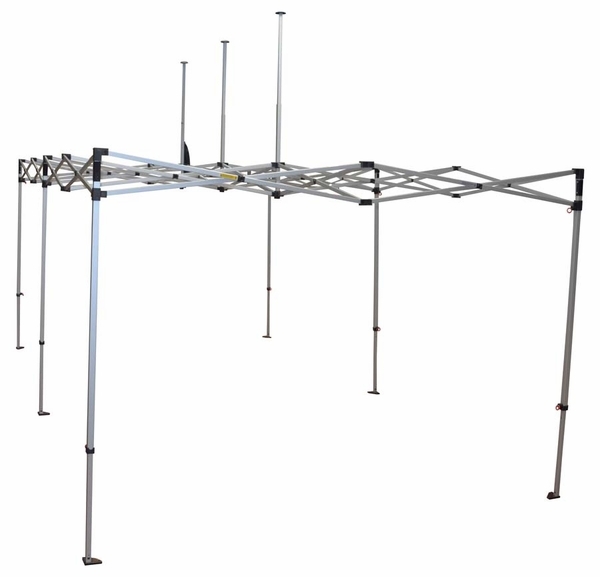 Frame has 6 legs (canopy pictured is a 10' x 10').